Uncorrected refractive error remains the major cause (43% ) of the 217 million people with medium to severe visual impairment at distance and an estimated 1.1 billion with near vision impairment. This means millions of people being functionally blind due to lack of access to spectacles resulting in lost education and employment opportunities, lower productivity and impaired quality of life. Whilst the solution appears relatively simple and cost effective, an eye examination and a pair of spectacles, the numbers remain stubbornly high. This is not a limited to the developing world, which accounts for around 80% of visual impairment, it is also a significant problem in developed economies, the prevalence of refractive errors increasing and the rapid increase in myopia. Yet, the positive impact that providing refractive services can have on employment, poverty alleviation and education, as well as eye health, has largely gone un-noticed, even as post 2015 development discussions make positive references to the rights of people with disabilities and the need for rehabilitation services. The IAPB Refractive Error Working Group has an important advocacy role to keep the issue of refractive error on the radar of health and development policy makers. It has produced position papers on recycled spectacles, ready-made reading spectacles and presbyopia which are available on the IAPB website. The group brings together a forum of IAPB members with a mix of technical and regional knowledge from a broad range of organisations including the World Council of Optometry to exchange current practice and is currently working on a new strategic plan. 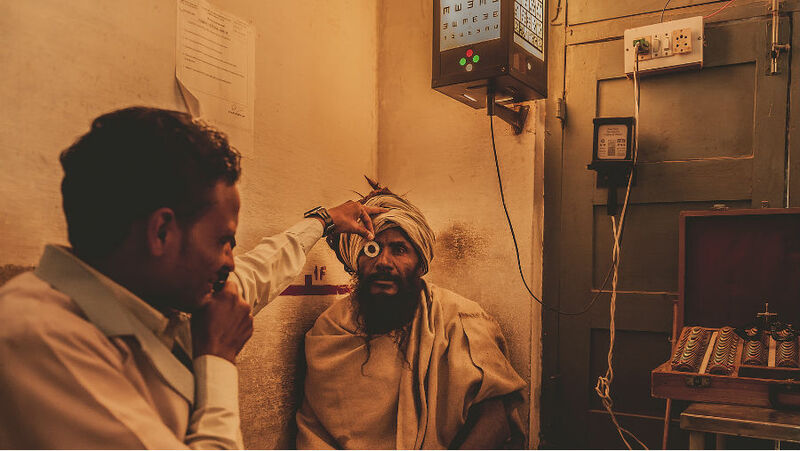 Refractive error is part of the core professional services of optometrists, who play a major role in the development and provision of both primary and secondary eye care services as part of multi-disciplinary health care teams in both developed and developing economies.